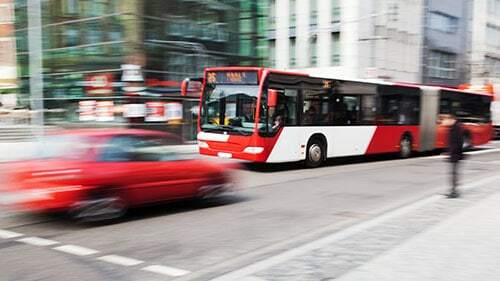 What Do I Need To Do In A Bus Accident Case? What If I'm Not Satisfied With My Chicago Bus Accident Case? Unsure Of What You Should Do After A Bus Accident? 1. SEEK MEDICAL ATTENTION: The first thing you should do after an accident is to seek medical attention. Your injuries could be more severe than you realize or they may not manifest themselves for some time. Therefore, it is critical that a qualified medical professional examines you so that your condition can be monitored and stabilized. Also, the benefit of seeing a doctor is that he or she can begin to develop a medical record of your injuries. This objective, third-party information will be necessary later at trial to demonstrate exactly how the defendant injured you. 2. CONTACT A LAWYER: After seeking medical attention, the best thing you can do is contact a competent lawyer who has previously handled bus accident cases. He or she will be able to tell you exactly what to do next and at every other point in the subsequent lawsuit as well as explain to you all relevant laws and issues that will affect your recovery. 3. NOTIFY THIRD PARTIES: After you have arranged for counsel to represent you in your bus accident case, the thing you must do thereafter and at all other points during the dispute is not to speak to other parties without your lawyer present. If third parties contact you about issues related to the case, tell them to speak to your lawyer. If you do not do this, and if you speak to others about issues germane to the lawsuit, you run the risk of lowering or completely erasing any chance at recovery that you may have. 4. COLLECT INFORMATION: After you have followed the above steps, you can begin to advance your case as well! One way to do that is by collecting vital records and information such as your medical records, your employment information, the other party's information, and any evidence you can or did gather from the scene of the accident. Nobody will know certain facts about the case as well as you do so it is important that you help your attorney by gathering these items or at the very least informing him or her about their existence. Every case has multiple objectives and requirements. In Illinois bus accident litigation, your mission will be to show that the defendant negligently injured you. However, you have to do some particular things along the way. For starters, you need to outline your case to the jury in the opening argument. Think of your clam like a roadmap and this argument as your chance to draw it out before the men and women in the jury box. Then, during cross and direct examination, you must lay out the foundation for your suit and deconstruct the bases of the defendant's responses. Normally, you will be required to offer expert testimony or at least sufficient evidence to prove the nature and extent of your personal injuries. Finally, in closing arguments, your task is to sum up all that you have brought into court and highlight why you are entitled to relief. This is what you need to do in a bus accident case. Personal injury cases take a significant amount of time and energy. It can be frustrating if you are not satisfied with the outcome at the end of it all. However, there are some things that you can do. First, if you originally pursued settlement, then you can reject the agreement and take your case to trial. Second, you can appeal the case if you believe that there was some defunct or deficiency with the trial. Third, if you believe someone else was at fault, then you can pursue recovery against them; however, at that point, you also will be running up against the statute of limitations time clock and have to file another suit quickly. There are options available to you to avoid an unsatisfactory legal outcome but the most important thing is to be proactive. Work with your attorney and stay involved in the process. Rosenfeld Injury Lawyers LLC receives frantic phone calls from injured bus accident victims on a regular basis. They say, "What do I do now?” If you are unsure of what you should do after a bus accident, call our offices. We can instruct on exactly what to do and take steps to protect your future recovery. Don't delay. Your compensation could be in jeopardy the longer you wait.